Amplifeye® Advanced Lash & Brow Fortifier delivers dramatic results in a lightweight, tack-free formula. This powerful serum helps stabilize the individual natural lash, creating the optimum anchor for eyelash extension attachment. With daily use, lashes and brows appear healthier and look more youthful. In 2010, Jo Mousselli introduced Amplifeye® Lash & Brow Fortifier, a proprietary serum that was inspired by the need for a drug-free solution to lashes and brows that show visible signs of thinning and aging. 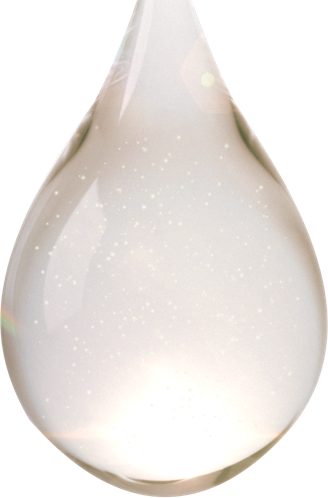 The success of Amplifeye was immediate and long lasting, with more than 75,000 bottles sold in salons and spas worldwide. Now, Jo has improved upon the proven original Amplifeye technology to create Amplifeye® Advanced Lash & Brow Fortifier. 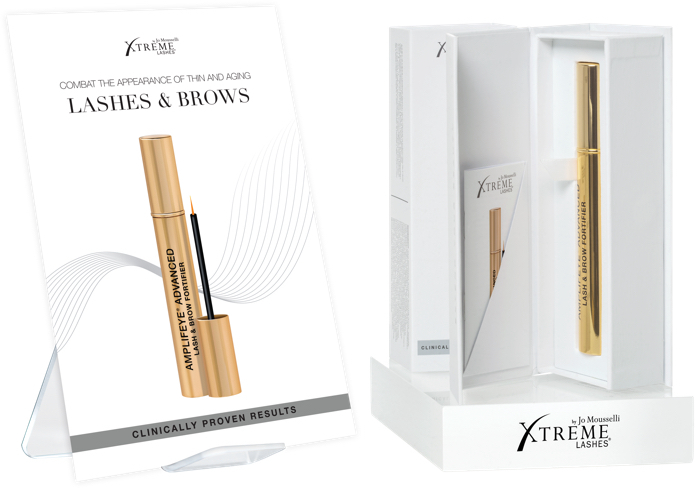 This groundbreaking formula contains an unprece­dented concentration of efficacious ingredients with the ultimate goal of achieving lashes and brows that appear fuller and look more youthful. Amplifeye® Advanced is formulated with our exclusive Amplifeye Renewal Complex™, comprised of liposome encapsulated peptides, rich in amino acids, to get to the root of lash and brow hair needs. Botanical extracts condition and revitalize lashes and brow hair, giving the entire eye a larger, more open, and more youthful appearance. Combat the appearance of thin and aging lashes and brows with Amplifeye Advanced Lash & Brow Fortifier. Watch the full story to learn more about this groundbreaking new formula. Earn additional income by retailing the new Amplifeye Advanced Lash & Brow Fortifier in the conveniently packaged Retail Kit. Display one box open, emphasizing the luxurious packaging to showcase the product and to catch the eye of your clients.